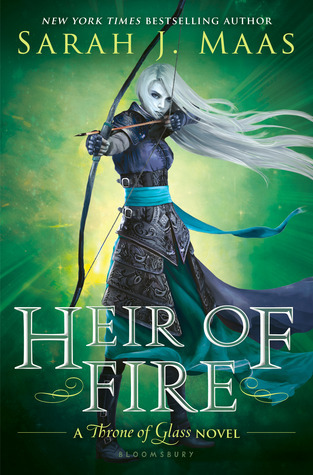 recommended for: Fans of Diana Wynne Jones, Alice in Wonderland, The Assassin's Curse by Cassandra Rose Clarke, The Orphan Queen by Jodi Meadows, or Ultraviolet by R.J. Anderson. People who love light, whimsical fantasy that just feels magical. will i read this author again? : Yes, please! will i continue the series? : I think I'd die for an ARC. Come back tomorrow for an exclusive interview with Sarah Dessen and coverage of tonight's stop on her tour! You know those books that you know you'll love as soon as you see the cover? Then you spend a year anticipating them, and when you finally read them . . . they're even better than you'd dreamt. Such is Gier's novel. I've been waiting for it since it was just Silber in German; I nearly died of joy when I saw they were translating it. I raced through it, delighting in every page of the bubbly, exciting plot. All the ingredients are there: an innovative dream world, a sinister plot, a curious and independent heroine, and an adorably healthy romance. Seriously, all the swooning. (Did I mention they're British?) Moreover, the writing is that dryly humorous, subtly pretty style that I love. Finally, the book has this magical quality. I can't put my finger on how, but it gives off the same feelings of bubbly whimsy that I get when reading Howl's Moving Castle. My main complaint? The sequel isn't out yet. I guess I'll learn German? If I didn't hate the use of the word "romp" so much, I'd invoke it here. Gier has created a wonderfully intricate plot that alternates between hysterical comedy (seriously, I'm actually laughing as I write this review) and spine-tingling mystery. Liv is used to moving around, making new friends--but she never expected to meet them in her dreams. Grayson, Henry, Arthur, and Jasper are upper school gods with a problem: they've gotten themselves mixed up in some dangerous stuff, and they need Liv's help. Liv finds herself embroiled in a game of intrigue that tests the limits of her skepticism, culminating in a frightening finale. It's lighthearted throughout, and the big reveal was both surprising and quite satisfying. Despite a few cheesy elements and strained plot points, it's a sharp, fun tale. Who hasn't thought about lucid dreaming? Gier takes the concept to its logical conclusion with her clever dream worlds. In her mythos, there are normal dreams and then there are the special dreams. These are the kind where you know you're dreaming. You can share dreams with others, even infiltrate dreams--for twisted or innocent purposes. Accessing someone else's dream is as simple as having a special totem and finding their dream door. Ah, the dream doors! Everyone has their own door, arrayed and decorated to fit their personality. So very cool. On top of that, add your typical high school students, black magic, and wishes, and you have a very original fantasy. It gives off an Alice in Wonderland vibe, in the best way. I loved every single character. Gier's players are entirely believable and individual. Liv herself is the heroine that young adult deserves. She's clever and curious. She can be a little judgmental (I was quite mad at her for not being nicer to Persephone), but she has a big heart. She's also very independent, unlike many a YA heroine. She knows that the boys' game is dangerous, but she doesn't choose to help because she feels "compelled" or because she's in love with them--she helps because she believes that she can, and because she fears that they're in over their heads. The boys are all delightful, though perhaps a little too wonderful--I mean, blonde basketball-playing charmers? Really? But Gier keeps them feeling real. Jasper is a bit of an idiot, Arthur is creepily serious, and Grayson is the big brother every girl wants. I wish that Jasper and Arthur got more screen time, but I suppose you can't have everything. Then there's Henry. Oh, dear Henry. He's a genuinely nice guy who appreciates Liv's independence and thrives off of their intellectual repartee. He quotes poetry, plays guitar, and is ridiculously freaking adorable. Did I mention he's sarcastic, too? Seriously, marry me now. The smaller characters are equally vivid. Liv's sister Mia is a little firebrand who abhors girlishness and fancies herself a detective. Liv's mom is oblivious but well-meaning. Persephone is endearingly insecure and vain, and Florence is flouncy and snide. And Lottie, dear protective German Lottie! Are you sold yet? I want to know these people. Gier doesn't overshadow Liv's authentic teenage voice with an excess of poetry. This sounds like a critique, but it's not. I love my dense, lyrical authors as much as the next nerd. I cut my literary teeth on the Victorians, and have always had a preference for clever turns of phrase. However, even moreso, I love language that gets the job done and fits its situation. Such is the writing here. The whole time, I could imagine myself in the head of an intelligent, witty teenager. The dialogue was absolutely brilliant. I laughed out loud a number of times, which is rare for me, and I dog-earred so many passages that I might as well have marked the whole book. There was really only one element of the book that I struggled with, and that was Secrecy. She's the school's queen of gossip. She knows all, and writes up the juiciest rumors on her online publication, the Tittle-Tattle blog. Everyone in school follows her gossip. I liked the idea of her, but thought that she was underutilized. Her blog entries spread throughout are interesting, but I'm not sure how necessary they are, particularly since the identity of Secrecy herself never makes an appearance. I wanted her to be more like A from Pretty Little Liars, whose missives have important plot repercussions. 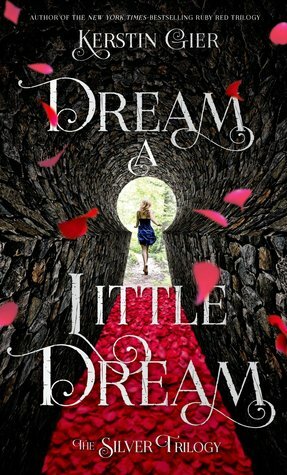 Dream a Little Dream is a whimsical, romantic fantasy with hints of Alice in Wonderland and a whole heap of mystery and suspense. Its humor, strong characters, and twisty plot make it a gem among urban fantasies. Woah–seems like you REALLY loved this one :D Need to find a copy soon then. I have Ruby Red by this author but haven’t had time to pick it up yet, but will soon :) Great review! Ha, can you tell? ;P I do gush when I like a book. I hope you enjoy it! I haven't picked up Ruby Red yet. You'll have to tell me how it is. This sounds really interesting. It sort of fell of my radar awhile ago but I love the idea of a whimsical and fun fantasy that is also full of twists and action. Great review! P.S. Thank you so much for that extremely sweet comment on my birthday post yesterday. It made my day. And I love reading your reviews too! I hope you enjoy it. It surprised me in many ways, all good ways. P.S. Any time. (: Thank you! Blush.